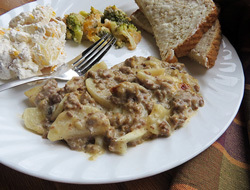 A creamy hamburger and potato casserole that everyone will love. 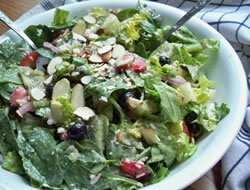 The simple ingredients make this a favorite of the kids. 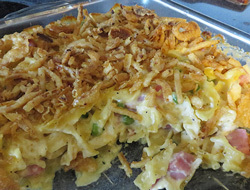 A quick and easy casserole that provides a one dish meal. Great for those busy nights when you don't have a lot of time to prepare a large meal. For a quick weeknight meal, this recipe is made in a flash. 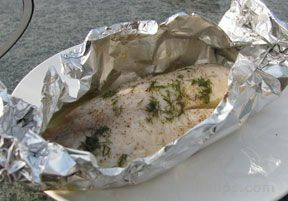 The fish is moist and flavorful. Use any type of whitefish that you enjoy. Slow cooked and tender. 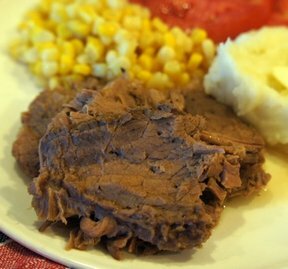 This roast beef is perfect for sandwiches or just served with mashed potatoes. Even though people think more of winter as being the time to slow cook, summer is a great time to use this cooking method. 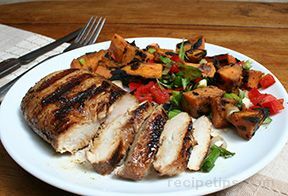 Slow cooking prevents you from heating the house up with a hot oven. 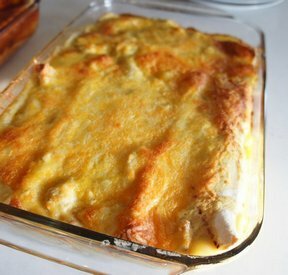 You can enjoy this recipe served with mashed potatoes or as a moist, flavorful sandwich.